Swimming skills are required for Stand Up Paddling. Otherwise, a life vest must be worn. Stand Up Paddlers are classified as rowing boats and have to give right to boats, commercial vessels, sailboats, fishing boats. Compared to motorboats Stand Up Paddlers have right of way. Generally keep distance! If two Stand Up Paddlers are approaching each other, dodge to the right. This also applies to kayak, canoe or rowing boat and inflatable boats. 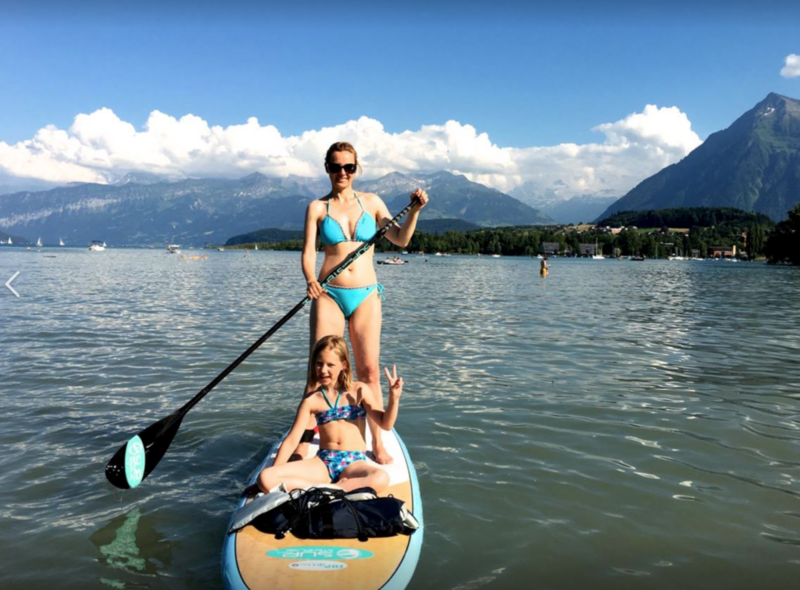 Anyone who paddles in Switzerland over 300 meters from the shoreline, must wear a life jacket or carry at least. Especially further than 300 meters, eye-catching clothing is recommended so that you can be seen early by fast-moving boats. Do not paddle in nature conservation and bathing areas (observe yellow buoys and signs). Apart from any rules, you need to be really aware of what the weather is doing, as the slightest breeze can have a huge effect. As soon as there is any wind it makes it harder to control. Be especially vigilant if your children are using it. Wear leash so that the Stand Up Paddle Board will not be driven away from the wind. If you can, do not paddle alone or inform friends and family! Let someone know where you want to go paddling and when you will be back. If you are late, that person can start a rescue operation. Take a cell phone! A waterproof cell phone helps you to call for help in an emergency. You can also be located if necessary. As with all water sports in nature, stand up paddling should be aware of other possible dangers (storm / thunderstorms, sun, cold). In case of strong wind continue paddling but not standing rather than in the knee position or even lying, as your body surface becomes smaller against to the wind. Choose the way back along the shore. Never leave the SUP to swim back to shore. It serves as a life raft when you are exhausted and if necessary, you can rather drift to the next shore. In addition, it is better to see in a rescue situation than a single person in the water. You can have a whistle on you, for attracting attention if you are in difficulty. Have fun but take care of yourself!